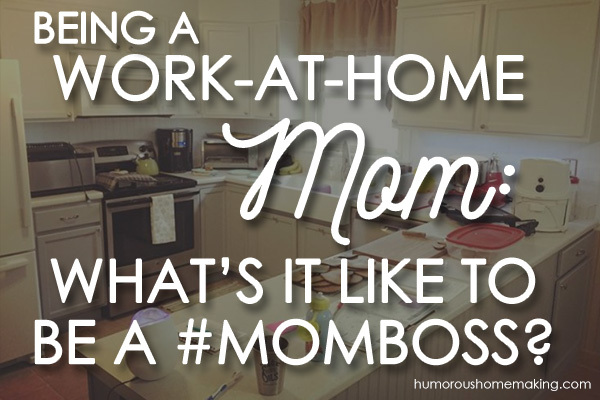 I’m a homeschooling, work-at-home mom, cooking all our food (mostly from scratch), taking care of our home, and also running our businesses. Even though my kids see me work every day, I am home with them and they know that even if sometimes I am distracted, we are still all home together. I see them way more then if they were in school all day. Some moms like to work while their kids are asleep at night and in the morning, but I’m brain-dead by night time! I need to work during the day while my mind is fresh! Heather asked: How do you organize your time and keep up your house, homeschool and run your business? I’m trying to do all these things and failing miserably! Stacy: I get asked all the time how I get it all done, but the truth is I don’t! A lot of life as a work-at-home, homeschooling mom does feel like you’re failing. Inside, I don’t think I’m doing great because I am my own worst critic! I don’t use scheduling and time blocking. Instead, I follow Daily Routines. For example, every Monday we have one set of tasks, while Tuesday, Wednesday, Thursday, and Friday’s tasks look completely different. When I try to make my life more scheduled, I get agitated! Tasks always seem to take way longer than I always think they will. Kids make messes, they’re hungry, they poop…the schedule is always messed up. People who can keep a tight time block schedule are superheroes. How they do it literally boggles my MIND! But my Home Management How-To is a course Barry and I put together that shares how to get control of your home using routines. It’s a great resource with way more detail on the subject of how to get it all done, so definitely go check it out! Megan says: How do you stay focused and not get distracted? Stacy: First, I should say I am not an easily distracted person. My trouble comes in when I try to multi-task and don’t give enough attention to just one thing at a time! But a main way I focus is to make a list for each day. When I make a task list for the day, it helps me to focus, put the effort in, and get it done. I’ve also learned to forgive myself if I make a list and don’t get it all done. Because some days just get away from you!! I used to stay up all hours of the night to try to get everything marked off my list for the day. I don’t do this anymore! If I don’t get it all done, it goes on the list for the next day. I stay focused by making to-do lists and knowing what I need to get accomplished. Jamie asks: What does Ruthie do while your kids are in school and how do you keep her occupied? Stacy: Ruthie, our youngest, likes to sit up at the table and listen and draw/color. Sometimes I put her in her crib to play with her toys. Before y’all send me angry comments, know that she likes being in there, I promise it’s not a punishment. And sometimes, hold on to your britches, I’ll even let her sit at the table with the iPad and watch Sesame Street. She learns the alphabet and her numbers watching this show so I stand by it. I watched Sesame Street as a kid and I turned out okay! Now, does that mean that she doesn’t ever get into something she’s not supposed to? Umm…No. That still happens almost every day! Today, I found her alone in a room with a green marker drawing a mural on her legs. That’s just parenthood! Jamie says: When do you fit in the chores part of your homemaking routine? When do you fit in exercise? Stacy: We always do chores before school – sometime between 8 and 9:30. Our chores usually take me about an hour and a half every day – some days are longer, some days are less. Whatever we can’t get done before we start school, we will do a different part of the day. Occasionally, during their independent school work, I will finish up chores. The kids are helping a lot more now though! The kids know how to sweep the floor, keep the table clean, empty the trash, etc. This takes some off my plate! In regard to exercise, I used to really love running, but I had a fall right before Annie was born, and while I would still I would like to run, I am a bit scared of it! I would rather have another baby with no epidural that fall and bust my knees running again. Right now, I like the quickness and ease of using an app called Seven for their HIIT. I use this app 5 days a week to do their high intensity interval training (HIIT). I always work out before they wake up so I can get showered and ready to go before they wake up. Hannah asks: How do you balance work, cleaning, baby-chasing, etc without going crazy? I feel like I can never find the time to get it all done. 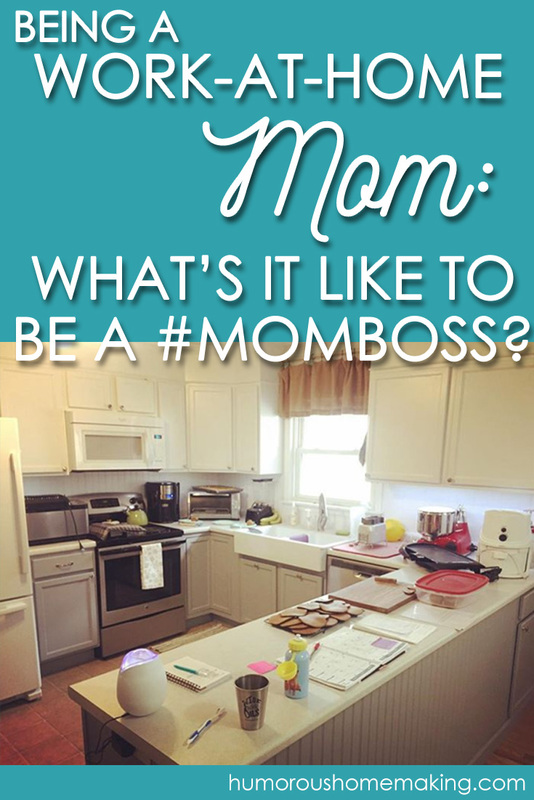 Stacy: I touched on this before, but it is just such a common question from work-at-home moms. You’ll never find time to get it all done! There’s no way you can balance work, cleaning, homeschooling, keeping up with kids, being there for your husband, etc. – AND get everything done. You will always feel like there is a ball you are dropping somewhere. You will probably always feel out of balance at something! There were lots of other questions, but these are the common themes. Some of the best advice I can give: Wherever you are – be all there. I wish I had followed this advice from the beginning with Annie! It has taken me years to understand that even though my house is sometimes dusty and my toilets might not always be the cleanest – I can’t let that bother me. There will be a day where I can spend more time doing that, but today is NOT that day. Hopefully this was helpful to y’all! If you have any other work-at-home mom questions you’d like me to answer, please email me or comment below. I am still working on being a WAHM. I have had odd jobs here and there, but they were always away from home. You are right, you CAN’T do everything well, you just have to figure out what deserves your best at that moment.